Are all items in the online shop of marketing-displays directly available? We assign a status to our products that informs you about their availability. If a product is in stock, it is ready for shipment within 24 hours. Products that are available at short notice will be manufactured by us as soon as possible after receiving of your order. As soon as we have manufactured the requested products in the required quantity, we will ship them to the delivery address you have provided. If you would like us to manufacture a product with an "on demand" status, please contact us at 0221-95-94-02-0 to provide us with additional information or the necessary files for custom manufacturing. We will also provide you with further information, e.g. the delivery time of the product you have requested. Do you sell exclusively to commercial customers? 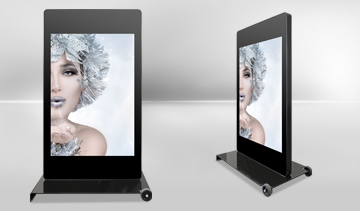 Since marketing-displays specializes in the manufacture of advertising solutions such as high-quality displays, digital signage solutions and other sales promotion systems for ideal presentation at the point of sale, our offer is aimed exclusively at commercial customers. 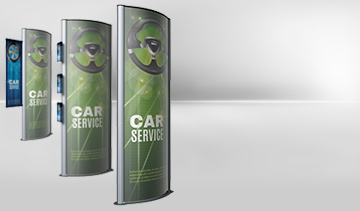 If you meet this requirement, you have every opportunity to become the center of attention thanks to our advertising displays. Whether you are interested in standard solutions or custom-made displays, the state-of-the-art technology used in our modern facility allows us to manufacture your products quickly and efficiently. As for the displays, what does it mean when there is a "price on request"? For some products, the price is available on request, as these are items whose equipment varies according to the specific order. 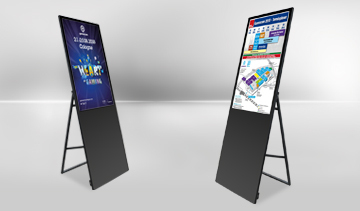 With marketing-displays you have the possibility to design your displays individually, which means that the price can vary depending on the equipment. Ask directly for a personal offer or contact us by phone at 0221-95-94-02..
Is there a promo code to order the products? We often use our "md-news" newsletter to send promotional codes with discounts on our product range. In addition, you will receive interesting news about advertising measures and will be informed about innovations in our product range. This allows you to benefit not only from a price reduction, but also to receive relevant information and to stay up to date on our latest projects. If you are interested, you can register for our newsletter via the following link. You may use the online payment service PayPal to pay quickly, easily and securely for your marketing-displays orders. The goods can also be shipped extremely quickly, as PayPal payments usually reach us in a timely manner. Alternatively, there is also the possibility to pay in advance or by invoice. Do I have to register to pass the order? No, you do not have to register to place an order with marketing-displays. You have the possibility to create a guest account, as we only need to obtain the most necessary information for your order process. This has no disadvantages with regard to your order. If you order frequently from marketing-displays, it is advantageous to create a customer account, as you can store the required data without having to enter it again for each order. Is VAT included in the prices of the products listed in the online shop? All prices of our displays are net prices and do not include VAT or shipping costs. The gross price including shipping costs will be indicated before finalizing the order.